During the week we spent some time in the Carnoy - Maricourt area, especially around Faviere Wood (Bayern Waldchen to the Germans). 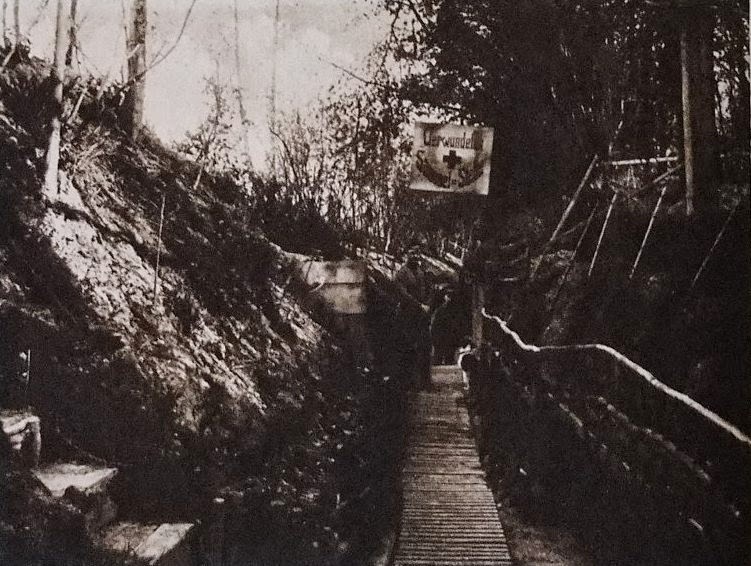 The German book, “An der Somme” is quite good for images of this area. Above: Top image of Carnoy Hollow (Carnoymulde) form An der Somme. Bottom - the area today, image taken from Casino Point, a German Strong point which dominated the hollow. Not surprisingly, the British blew it up with a mine on July 1st. Bayern Waldchen was just behind the German front line and was also in the area where the British and French attacks joined on July 1st 1916 on the opening day of the Battle of the Somme. The German defences in this area of the Somme were not as strong as those further north, possibly because they had been relatively quite compared to the constant fighting to the north during 1915 at La Boisselle, Ovillers, Serre etc. The wire was not as strong, there were inadequate deep dug outs and not enough communication trenches which could be used as switch lines. On the eve of battle, during the night of 29th/30th June, the Germans also made the blunder of relieving the front line troops. The British also had the advantage of the deployment of French heavy guns in this area. 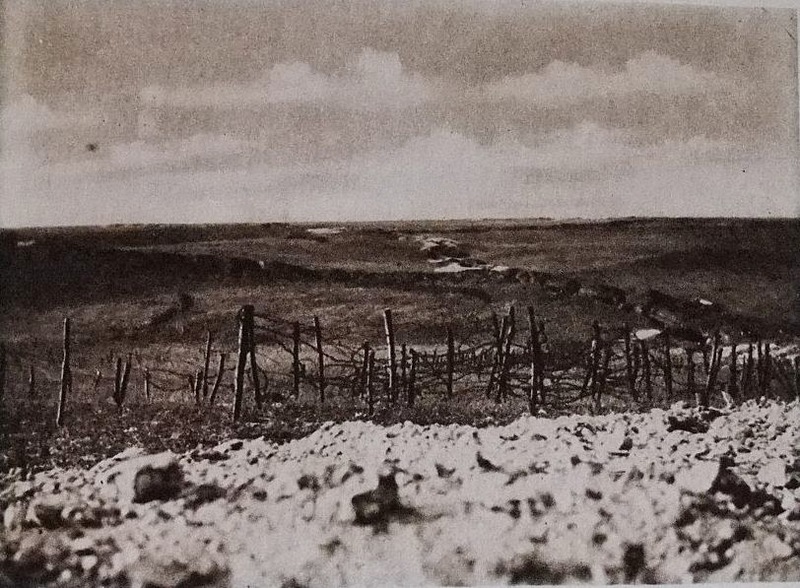 Forth Image - British Front Line, Maricourt Wood, image taken from a German observation post marked on a trench map of Faviere Wood. The fighting on July 1st was confusing in this area, the Germans reporting first that the French had entered the wood, but later the report was corrected that it was the English who had attacked. The German commander in the area had considered a counter attack to recover lost ground in the Mametz-Montauban area during the afternoon but with insufficient troops decided to concentrate on holding all ground not lost so far, including Bayern Waldchen. The British captured the wood during the fighting between July 2nd and 13th. 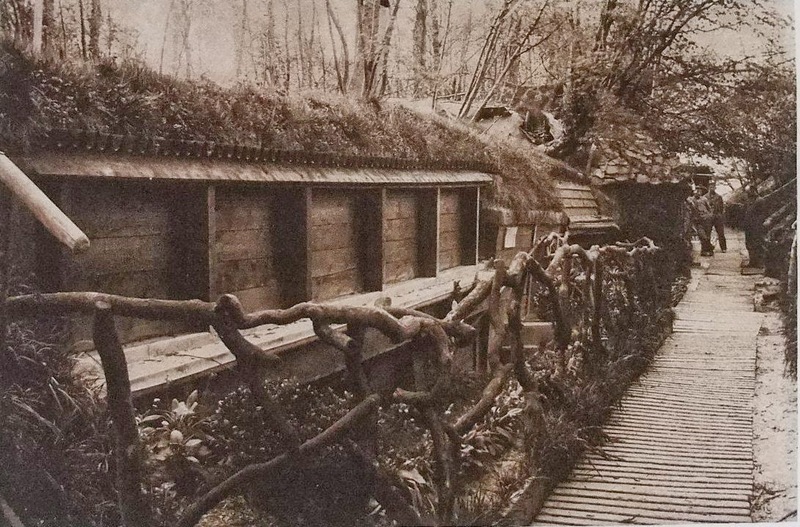 At the end of July, the French established a Brigade HQ in the wood and it was used as a bivouac for troops. Remains of trenches and huge shell holes (perhaps the French heavy guns) can still be seen in Faviere Wood today. Above: The greatest thrill of the day for me - the discovery of new concrete on the Somme!! It certainly does not look much, but Linesman GPS Software / trench maps placed this concrete right on the German Front Line where it makes a dog-leg. The wood in the background in the third image is the British Front Line, Maricourt Wood. Above: Panoramic view of the ground captured by the British / French on July 1st. Image taken from Maricourt Wood and on the horizon can be seen Montauban, Bernafy and Trones Wood.